I usually post recipes that are practical (we can’t get exotic ingredients in Wyoming) or out-of-this-world delicious if they are fussy, but today’s recipe doesn’t fit either of those categories. It is more of a trip down memory lane; an ode to my grandmother. She showed her love through food. Whenever we would walk through her door, she would hop up and serve cookies or caramel cake. Maybe that’s why I’ve always shared recipes here, even though interior design is my business. Food means love, and it’s a way I can give love to you in the digital world. 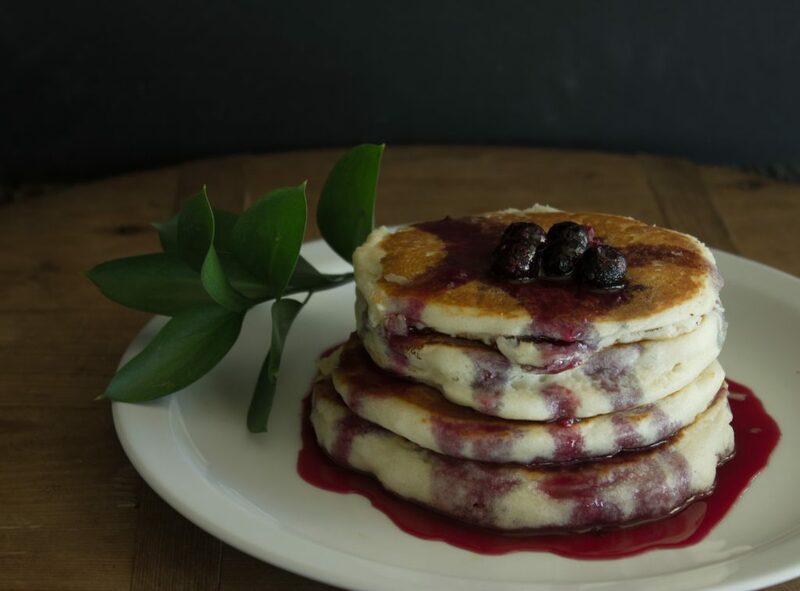 Chokecherry syrup is anything but ordinary. It’s hard to find, and I don’t know how much it’s made in other parts of the country. I only remember having it a few times as a young girl, and only when my grandma made it. We lost my grandma this summer. Maybe that’s why I took such a keen interest in the large bushes behind my mother-in-law’s house. They were drooping with wild chokecherries, so we giggled and picked and she shared how she used to make syrup. 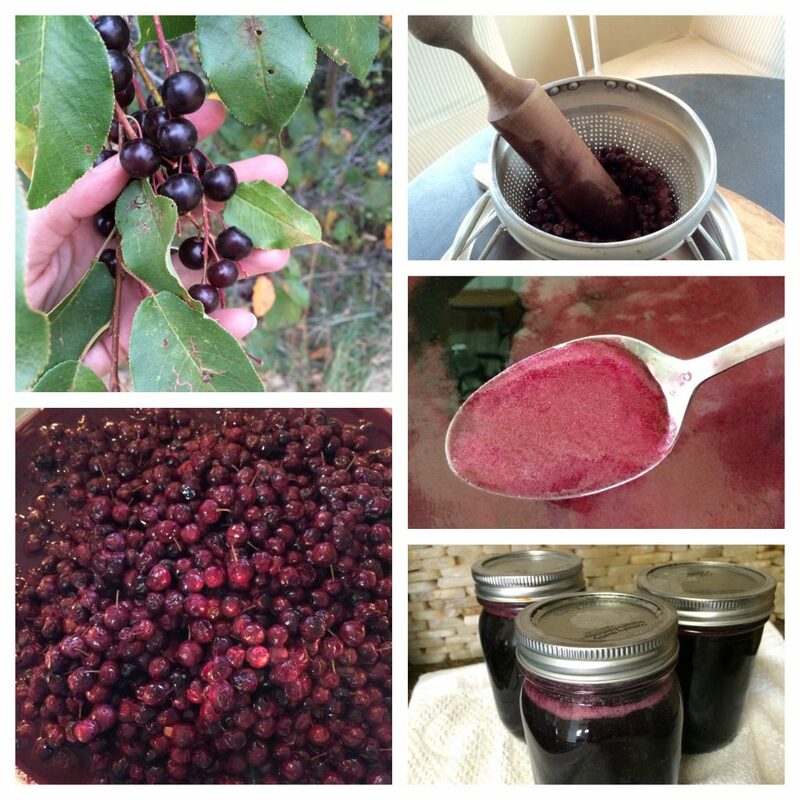 She handed me an old food press from her mother, and I took all of my treasures home to attempt chokecherry syrup for the first time. It turned out well, so I’m sharing with you today. I feel like a keeper of the past; a link in a chain of hard-working, gentle women. Enjoy! Dump cherries into a large saucepan. Cover with water and boil for 30 minutes. Put through a food press to remove juice from pits and stems. Return to the saucepan and add sugar and fresh lemon juice. Portions are subjective. Squeeze 1/2 a lemon for juice. Sugar ratios vary from 1-3 cups per cup of chokecherry juice, depending on whether you want a syrup that is more bitter/runny or thick/sweet. Boil for 5 minutes (or until sugar is dissolved) and remove from heat. Skim froth off the top with a spoon. Add almond extract (about 1 Tablespoon). Pour into pint jars, clean rims, tighten lids, and process for ten minutes. Let cool. Store at room temperature for up to a year. Best on pancakes and waffles.